Based in a converted garage in Palo Alto that was the original location of Nest, Spry Health is one of the few startups to develop a medical-grade wearable for chronic disease management. The company’s roots stretch back to 2012 when co-founders Elad Ferber and Pierre-Jean Cobut had the dream of creating a startup with a meaningful purpose while earning MBAs at Stanford. “We weren’t exactly sure about the idea, and then we saw a lot of Fitbits running around in 2012,” said Ferber, now the company’s cofounder. While the Fitbit would go on to become a mainstream product, Ferber was intrigued by the possibility of using sensors to help people with chronic conditions. A former Israeli Air Force officer experienced in managing drone development projects and, later, the chief of engineering at a space startup competing in the Google Lunar XPRIZE, Ferber saw an array of possibilities with sensors in wearables. Ferber teamed up with Stanford classmate Pierre-Jean Cobut to begin mapping out use cases. “I was working with different constellations of sensors and brainstorming about different potential uses for wearable sensors,” Ferber recalled. The startup would go on to select chronic disease management as a focus, realizing many patients with severe chronic illnesses would only go to the doctor a few times per year. At each doctor’s visit, a limited amount of data is typically exchanged — a handful of health metrics and a report from the patient. “And then based on that tiny snapshot of data, critical decisions are being made,” Cobut said. So they set about making a wearable known as the Loop that could monitor the continuous flow of vital sign data in patients with chronic illnesses. While doctors often instruct such patients to self-monitor, it can be challenging to ensure they consistently gather accurate data of, say, their blood pressure. Spry Health wants to automate this data collection, with the aim of building a better understanding of chronic illnesses. The wrist-worn Loop uses an array of optical sensors that map the bottom of the wrist, identifying vasculature that enables device prototypes to measure blood pressure, heart rate, oxygen saturation, respiration and carbon dioxide levels. (The company has performed clinical research on the device and has submitted the Loop for FDA clearance and anticipates marketing the device in 2018. It has also raised $5.5 million in funding from Grove Ventures and Stanford StartXFund.) The data is transmitted to a stand that doubles as a charger and, from there, is communicated to the cloud and finally to the patient’s physician. Cobut is quick to acknowledge many clinicians are busy and already dealing with data overload when asked how they hope physicians would use the data from the device. “There is a data problem in healthcare for sure,” he said. “What clinicians want is information.” But providing clinicians with information can be rife with complications. For one, technology can’t threaten physicians’ autonomy or else it could lose their support. “Physicians don’t want a black box to tell them what to do,” Cobut said. 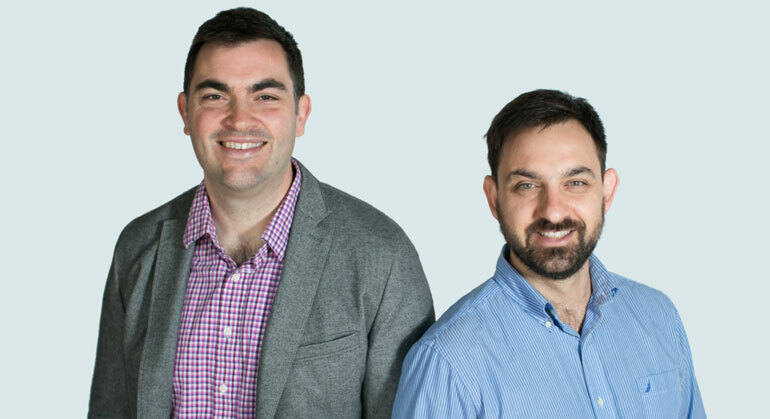 Pierre-Jean Cobut (left) and Elad Ferber are the cofounders of Spry Health. “One of the major assumptions in building this company is we have to start with vital sign data that is clinically meaningful. If doctors see someone’s systolic blood pressure going from 120 to 130 to 180, they know that patient needs attention,” he added.